Interpreting happens whenever people do not share a common language, but need or want to communicate with each other, share information or conduct business. Sign language interpreters facilitate communication between people who are Deaf or hard of hearing and people who can hear. The Illinois Central College Interpreter Preparation Program has been preparing students to become American Sign Language interpreters since 1993. Associate professor and current coordinator of the program, Sue Sanders, was in the first graduating class. If you are the type of person who is fascinated with language, wants to work in a dynamic and diverse career or just wants to improve your ability to communicate with the hard of hearing then the ICC Interpreter Preparation Program might be right for you. “The instruction was absolutely wonderful! I could not have imagined the instruction to be any different. I was able to walk into a job and completely blow them away with the knowledge I left the program with as a first year grad.” – Emily Mings, former ICC student. At ICC we know that there is so much more to learning than just sitting in a classroom and that’s why we give you the help and tools you need to grow outside of class. Students are encouraged to join SIGN Club, which provides opportunities every year for networking – meeting both interpreters and deaf people. 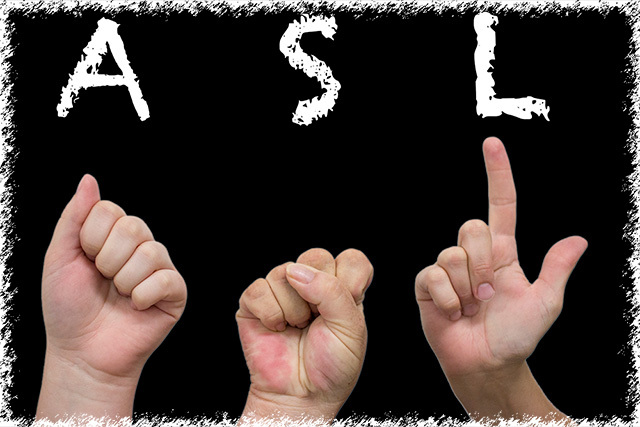 Learning a language like ASL requires continuous growth. IPP Students demonstrate their American Sign Language skills in their American Sign Language IV class. Our world is becoming smaller everyday with the growth of technology and as it becomes smaller our communication needs grow larger. There are over 70 million deaf people in the world today and employment of interpreters and translators is projected to grow 46 percent from 2012 to 2022, according to the U.S. Department of Labor. Those pursuing a career as an interpreter will find no shortage of work. I was able to walk into a job and completely blow them away. If you are seeking a career in a growing field, contact your academic advisor today and take the first steps to achieving a degree or certificate in our Interpreter Preparation Program! Thinking about enrolling in the Interpreter Preparation Program? Here are some questions that prospective student frequently ask!